Shoppers now have a new platform to Shop. No no not an e-commerce new website in trends, but yes a new platform to develop the solution is now in trends. NopCommerce. The nopCommerce stage is very adaptable, solid, versatile, and engaging. The platform is controlled by Microsoft's ASP.NET Development system and SQL Server and is honored with significant highlights and fully featured functionality. 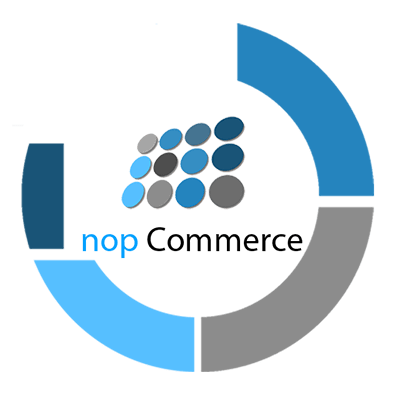 The nopCommerce is exceedingly altered and has effective administrator board with business-driven functionalities like item administration, inventory administration, coupon administration, client administration and substantially more. The dynamic group of nopCommerce developers is knowledgeable with eCommerce store advancement procedures and show their best exertion in examine and improvement administrations. On the off chance that you are wanting to go for an online business site for your items and administrations, be guaranteed that by picking Innovates and nopCommerce as a platform of .NET development with customized nopCommerce developed, you have settled on a genuine super decision. Our group of geeks and geeky heads at Concetto Labs exceed expectations in furnishing expanded arrangements in web based business. Accomplishing the specialized abilities and using the business standard instruments, we give different Microsoft nopCommerce Development administrations to our regarded customers. A few functionalities are not accessible in your nopCommerce Store naturally. We will add those functionalities to your store by building up the privilege module. Concetto Labs designers will make a nopCommerce topic that looks lovely and capacities ideal for holding fast to the most recent measures. Get responsive and present-day topic for your store and influence it to eye getting! Get your own uniquely created, responsive nopCommerce web-based business store with the most developed arrangement of highlights and functionalities. Cart Design, store design, payment gateway integration each of them is taken care of by us. Have the e-commerce solution in Magento or Woo commerce or Shopify and want to migrate? nopCommerce is the recommended and preferable switch. No glitches are to be faced while the migration phase. Any of the web application that requires the functionality highlights of e-commerce, it can be fulfilled by integrating the application with nopCommerce. Easy, flexible and adaptable way out. Having a wish to sell your products online? Don't hesitate any more, our team stretch helps in all the manners to create the virtual market for your buyers to buy quick and even the design suits your favorable products. None else and why just NopCommerce? Each has their uniqueness, similarly, it is with nopcommerce development. It predefined feature listing ease most of the development process and let end users have an amazing experience to SHOP. Users over the web are comparatively lesser than over the mobile. Click and Shop is the shopaholic concept or to stalk around for window shopping, so the solution needs mandatorily to be mobile screens compatible. Most of the functionality for the virtual store are been provided predefined, but if your needs vary and need something unique, we also develop and integrate the web services for the purpose. Are you looking for Offshore NopCommerce Development Company? - Choose us, Let me Share Why? Our group comprises of very gifted proficient that unequivocally comprehends the necessities and prerequisites of our esteemed clients. Including simple establishment, its setup is to a great degree snappy, with the product running inside minutes. We have broad involvement in managing multinational and nearby undertakings. Our nopcommerce designers have the ability in tweaking nopcommerce layouts. Our designers are resolved to expand your business zones. Our engineers can work inside tight due dates to change your vision into reality. Why Concetto Labs is the Differentiators in the ecommerce Market? Regardless of whether you need a web-based business store utilizing your most loved subject or a totally redid store with one of a kind highlights we can do everything for you! We're available for your proposals. On the off chance that your task requires the advancement of any custom highlights for nopCommerce we can do that for you also. Our nopCommerce group can completely redo your store. Considering our origin we have chipped away at various web-based business innovations. Our cross stage encounter encourages you to get the best of nopCommerce. We ensure you get the best! Our committed group of Microsoft engineers are master at creating the nopCommerce store for different businesses. They put in high efforts and hours into creating immaculate codes and rendering an impeccable virtual store as per your product to sell. FAQ for the nopCommerce Development services. Q. How good and reliable is nopCommerce as an e-commerce solution? Along with Open Source eCommerce solution, nopCommerce is highly stable, powerful and reliable to create an online store. It supports with frontend catalogue and backend administration rights to manage the orders. It has more than 1.5 million downloads so far, with constant numbers increasing. Q. Can multi-store be set-up using nopCommerce development services? NopCommerce has an interesting functionality where the user can handle multiple shops, themes, payment methods and custom shipping right from the backend. Each feature can be fixed for the individual store, not necessary to fix it for all of them, clean customization for each store. Q. Is nopCommerce secured platform for e-commerce development? Security coming at the top priority for any of the e-commerce sites, same goes with nopCommerce. Easy implementation of Https, ban to single or bulk IP addresses, view to log files for attempted security threats and much more for assured security measures for the nopCommerce based solution. This is a good edge for the vendors. nopCommerce supports multi-vendor, where store owner need not stock the multiple products, rather based on the order they can purchase that from the third party and get it shipped to the buyer. Easy go business can be performed with this facility. Q. Shall the local brick and mortar business be moved to the nopCommerce online store? Yes, for sure. nopCommerce is the user-friendly platform as it is created in MVC architecture. Also, it is highly stable, easy to use, fully customizable open source platform and pretty easy and flexible to use. Come closer and sooner to the online presence for the store.